The launch of 4G LTE is a taste of the future - with speeds reaching that of your home cable connection, the only limitation stopping us from a fully wireless present are data caps. And in the future they will get much less noticeable according to Nokia Siemens Network CTO Hossein Moiin. “By 2020 the average person will download one gigabyte of personalised data each day, and it will be delivered for less than $1 a day,” Moiin said. As striking as this sounds, competition will likely push prices for 4G LTE down and LTE is exactly what Moiin is talking about. Currently, you need to pay $80 for 10GB of data on Verizon, or $10 per additional gigabyte. Taking the latter measure, the prediction paints a future where data prices will drop ten-fold over the next 8 years. Given the surge in data and transferred high-def video over the web we can definitely see the need for that much data even today. And when speaking about competition, LTE is not yet widespread even in US, the pioneer for 4G adoption. By 2015, though, 200 carriers have announced plans to launch LTE networks, so we can definitely see the rivalry heating up around then. Not likely in the US, where data prices have only risen, even though Verizon's then CEO stated that LTE would deliver data costing Verizon less. They pay less, you pay more. They're like the oil companies - four years ago when the price of oil dropped to around $60/barrel, and gas dropped to under $2/gallon, they pulled as much out of the ground as they could, then parked it in international waters to create an artificial shortage and drive the price back up to over $3/gallon. Today, they're closing refineries after years of complaining they needed more refineries, again to short supply and drive up prices. To both the US wireless carriers and the oil companies, free market means market the consumers and government can't control, but they can manipulate. you are exactly right. The oil and mobile phone industries do this.. because they can. We're hooked on our gas and data and increasing prices will only drive very few away, so they just bathe in their profits. What cracks me up is how the Cell Phone industry is constantly pushing new things to stream.. youtube, pandora, netflix.. etc.. with the s**tty 2 gig cap, it takes NO time for that limit to be reached. It's disgusting what they are doing really. If Verizon wants to entice customers to use all these nifty data munching features.. they should have data plans that support them, for the AVERAGE consumer. $80 for 10 gigs a month is insane. Guess I'm going to be waiting a long.......long.....time. There's no way I'm getting a smartphone with these artificial prices. Perhaps maybe, one day they'll increase the caps or bring back unlimited. Meantime, I'm happy using my devices via wifi. I believe data usage will increase, but I think it is VERY optimistic to say 1GB a day. Although I know battery technology is evolving, I don't think battery technology will support 1GB of data a day and then on top of that voice calls, texts, larger screens, and run a 3G and 4G antenna among some other things. As of right now, if my phone was fully charged, my battery would die in about an hour of watching continuous video. Since a phone needs to last at least 10 hours, this means batteries will have to expand their capacity at least 10 times. 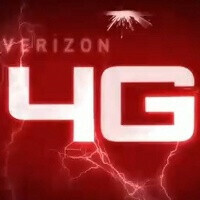 this info is a few years old but i recall verizon saying that they will be shutting down everything 3g and below to make room for 4g by 2016. which would get rid of all the made before this year, because verizon is requiring 4g to be standard on all devices. no if this is true and the lte radio is the only one in there and more developed then batteries wont be an issue. right now i avg .5g a day, considering that i use my phone for everything everyday. i do think prices will come down but not anytime soon. like a previous post a few weeks ago stated, this tiered data is not about the top 5%, its about company growth.